If you saw or heard about the segment that the CBS program 60 Minutes aired last Sunday about extra virgin olive oil, you might have come away with the feeling that you can't trust anyone who sells the stuff to be telling the truth. 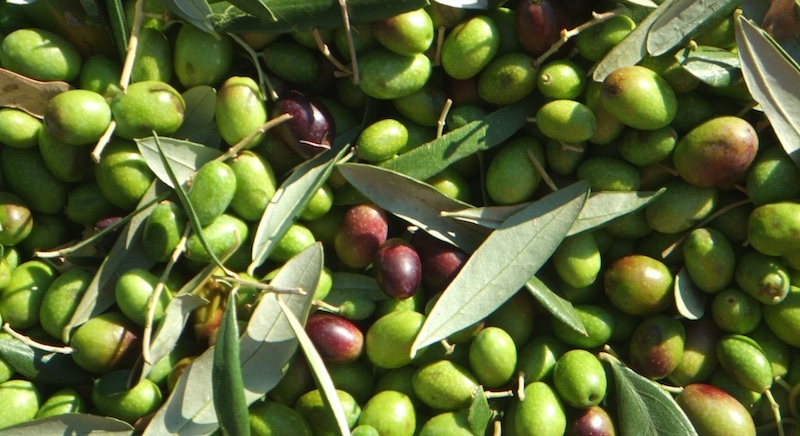 Contributor Jim Dixon of Real Good Food is a guy who travels to Italy and knows the small producers who grow the olives and make the oils he carries. Here he adds more information to what you may have heard about the issue. Another story about fake extra virgin olive oil aired on 60 Minutes this weekend. It implicated the Mafia so it was even more titillating than earlier reports. It's no secret that most of what's labeled "extra virgin olive oil" doesn't meet the commonly accepted definition of the highest grade of olive oil. When there's money to be made, there are people eager to defraud consumers to make it. Jim Dixon of Real Good Food. 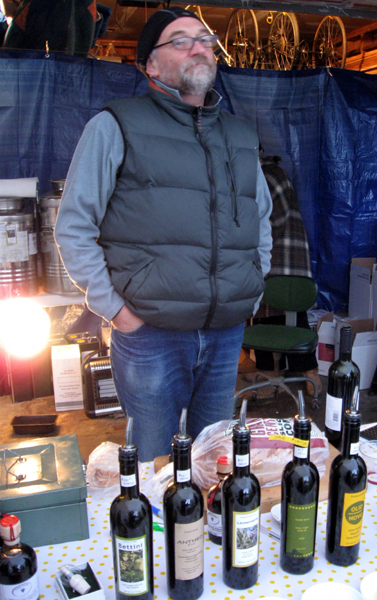 Tom Mueller, author of Extra Virginity: The Sublime and Scandalous World of Olive Oil, was featured in the piece and covered the issue best on his own website. He writes, "The world of Italian olive oil never ceases to confirm my best, and worst, suspicions. When I taste olive oil made by honest Italian growers and millers, I’m often amazed by its freshness and complexity—and even more amazed that they are still in business. The single-minded devotion of these food artisans, who built Italy’s culinary fame, is almost superhuman when you consider how consistently they’re being undercut by olive oil crooks, and abandoned by their own government. In fact, forces within the Italian government often help the crooks." Read the whole thing and his book to appreciate what the people who make real extra virgin olive oil face trying to make a living. While the Mafia connection grabs the headlines, the real issue is the fact that it's perfectly legal to sell fake extra virgin here in the US. As much as 75% of the olive oil sold here labeled "extra virgin" is really refined olive oil blended with some virgin olive oil. And while Italy gets blamed most often (as Mueller points out, the Italians do more than other oil-producing countries to catch the cheaters, so they get the press), every country growing olives for oil does the same thing. 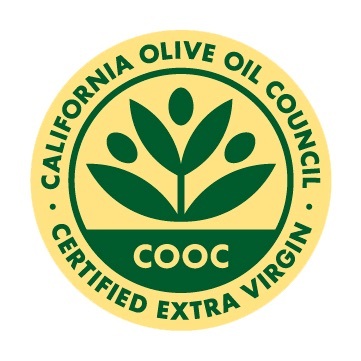 Seal of the California Olive Oil Council. Indifferent producers make oil that doesn't taste good, the result of any number of defects ranging from bad fruit to poorly maintained presses. This oil is "rectified," or fixed, by an industrial refining process that strips away the bad flavors. It also eliminates the good flavors and healthful attributes. The resulting neutral oil is blended with virgin olive oil and sold here as extra virgin. I wrote about olive oil standards years ago if you're interested in more details (I no longer recommend Bertolli oil as I did back then). News like this always brings requests from consumers about choosing a real extra virgin oil. The 60 Minutes companion piece doesn't help much. 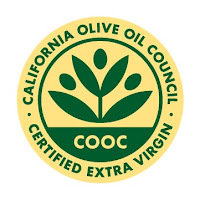 The only way to distinguish real extra virgin in the supermarket is the California Olive Oil Council's seal [issued to California olive oils that pass its rigorous certification standards]. It guarantees the oil is really extra virgin. Your other choice is buying from a trusted vendor (like Real Good Food). Please support the hard-working Italians who struggle against the odds to make amazing, delicious, true extra virgin olive oil.